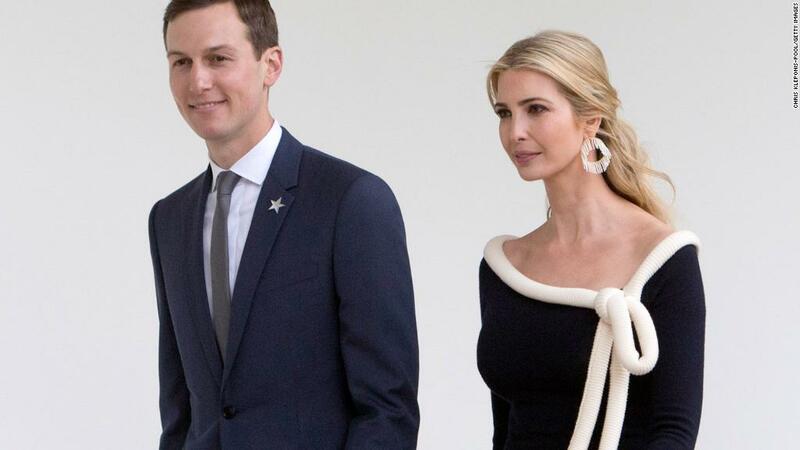 Jared Kushner and Ivanka Trump, both senior advisers to President Donald Trump, disclosed new details of their vast wealth on Monday, reporting a long of list of real estate, fashion and investment assets. Kushner, the president's son-in-law, reported assets of at least $174 million at the end of 2017, according to a person familiar with the couple's financial disclosure documents. His holdings could reach more than $710 million. CNNMoney's own calculations confirm those numbers. At the end of 2017, the president's daughter held assets of at least $55 million that could reach more than $75 million, the source familiar with the documents said. The topline numbers of their wealth don't vary greatly from similar documents the couple made public last July. "[T]heir net worth remains largely the same, with changes reflecting more the way the form requires disclosure than any substantial difference in assets or liabilities," said Peter Mirijanian, a spokesperson for Abbe Lowell, the ethics counsel for Kushner and Ivanka Trump. Ivanka Trump earned at least $82 million in income in 2017, according to the documents. Kushner's filing reported many of the same income sources and amounts. It's important to note several caveats to the disclosure documents. For one, some line items appear on both Kushner and Ivanka Trump's filings. It's also impossible to calculate precise totals of income and assets because the documents — which are used throughout government — ask officeholders to disclose figures in ranges, such as "$100,000 to $1,000,000." Some disclosures are open ended, like "over $50,000,000." The Trump family's far-reaching business interests, and the potential for conflicts of interest they present, have been a point of controversy since President Trump took office. The president turned over the operation of his business, the Trump Organization, to his two eldest sons. Since the election, Kushner and Ivanka Trump have also stepped away from the management of their businesses, though they have retained numerous ownership stakes. While they aren't legally required to sell all their assets to work in the White House, rules prohibit federal employees from participating in matters in which they have a financial interest. "Since joining the administration, Mr. Kushner and Ms. Trump have complied with the rules and restrictions as set out by the Office of Government Ethics," Mirijanian said. The documents also list the couple's 2017 liabilities — a dozen loans and credit lines in amounts ranging from $1 million to $5 million or $5 million to $25 million. -- CNN's Cristina Alesci, Jill Disis, Karen McGowan and Jeanne Sahadi contributed to this report.